As genre imprints become ever more conservatively focused upon tried-and-tested formulas, so the more interesting speculative fiction gets pushed increasingly towards mainstream imprints. 2018 saw no diminution in this trend, and with Sophie Mackintosh’s The Water Cure, Lidia Yuknavich’s The Book of Joan, Ahmed Saadawi’s Frankenstein in Baghdad, Sam Byers’s Perfidious Albion, Kate Mascerenhas’s The Psychology of Time Travel, Patrick Langley’s Arkady and Ling Ma’s Severence to name but a scattering all being published by literary presses, if anything it is the opposite. 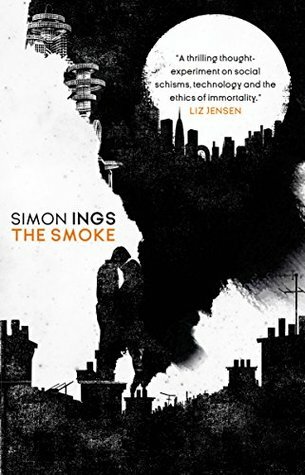 Some hardy souls do continue to soldier on in the genre heartlands though, and my vote for best science fiction novel of the year would have to go to The Smoke, by Simon Ings, published by Gollancz. I’m a huge Ings fan in any case – both his 2014 Wolves and his 2011 Dead Water were egregious omissions from the Clarke Award shortlist – but The Smoke hits a new high water mark of excellence and should be read by everyone with an interest in what British science fiction is still capable of. Set in an alternate near future, The Smoke – like all the greatest science fiction – finds numerous ways to comment upon our own present. In the world of The Smoke, a volcanic eruption in Yellowstone Park in 1874 brings about a form of nuclear winter, and with it the devastation of much of Europe. World War One is brought to an end in 1916 with the invention of the Gurwitsch Ray, a new technology that inadvertently brings about the ‘speciation’ of humanity into three distinct genetic groups: non-augmented humans, who form the majority underclass, the Bund, a new stratum of mentally agile, biologically more resilient genetically altered humans who are potentially immortal, and the chickies, who might not be human at all. In the novel’s present day, a new space age promises full employment for the North by means of a renaissant and highly dangerous manufacturing industry. Meanwhile, large swathes of southeast London are being repurposed as a laboratory for the Bund’s increasingly transgressive medical science. Traumatised by deep divisions and changes within his own family and emotionally paralysed by a recent break-up, Stuart finds himself irreparably torn between the analogue world of his childhood and a ruthless digital future he barely understands. Ings’s depiction of both the physical landscape of his too-rapidly evolving world and the blasted interior spaces of its inhabitants is inventive, intensely tactile and palpably raw. The Smoke is a taut, scintillating and deeply affecting novel that never pulls its punches and – in today’s bleak age of bland dystopia and derivative space opera – comes as an invigorating reminder of how radical and innovative science fiction can be in the hands of a writer with the talent and insight to properly explore its full potential. Honourable mention: the newly reissued Rosewater, by Tade Thompson (Orbit). Aliens bearing gifts have pitched camp outside Lagos. But what do they want in return? 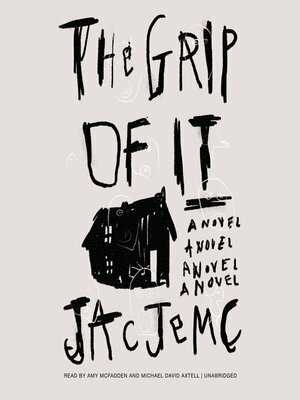 My favourite horror novel of 2018 remains Jac Jemc’s The Grip of It (FSG), which I reviewed for Strange Horizons back in August. Jemc takes the tropes of the classic haunted house novel – a young couple beginning a new life in the country, a weird neighbour you never see, dark secrets from the past – and twists them into something rich and strange, a masterful literary novel that works with its tropes rather than against them, dragging us deeper into the characters’ predicament and – even at the end – refusing the temptation of easy explanations. The Grip of It is a novel that demands engagement from the reader. With faint echoes of Mark Danielewski’s House of Leaves, this is a book to treasure for its ambiguity and genuine spookiness. Honourable mention: the atmospheric and again, genuinely creepy Little Eve, by Catriona Ward (W&N). When members of a strange religious cult are found murdered on a remote Scottish island, a discredited police officer is determined to discover the truth about the only survivor. 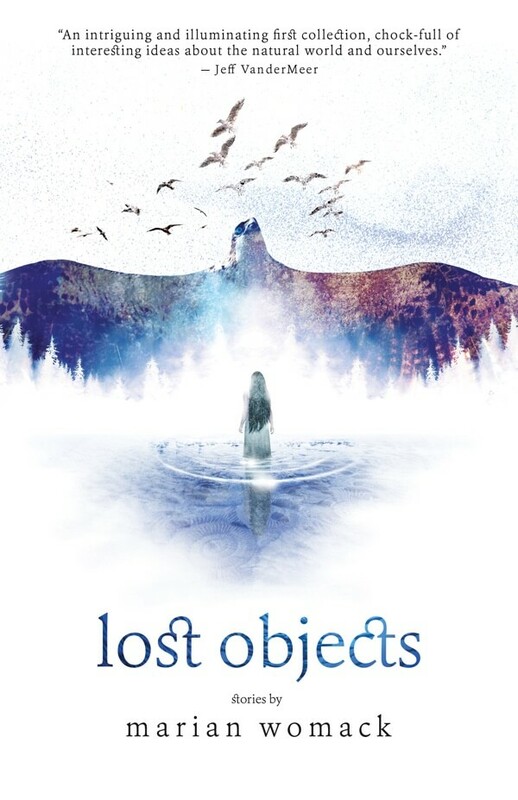 The standout collection from 2018 is Marian Womack’s Lost Objects (Luna Press), which I wrote about for Interzone. The central themes of Lost Objects – climate change, political tyranny, personal struggle and transcendence – feel timely and urgent, yet what sets this collection apart is Womack’s particular treatment of those themes. Her personal iconography – birds, animals, landscape – is brought to life by means of a language that has a brittle quality, with sentences that seem to teeter on the point of dissolution, yet retain a core of steel. Sinewy and wild, Womack’s stories feel simultaneously open to argument and determinedly tenacious. What I look for most in a collection is cohesion. The stories don’t necessarily have to be explicitly linked (though I enjoy that, too) but what I do want to see is a sense of common purpose that runs through the collection as a whole, and it is precisely this feeling of cumulative effect that Lost Objects possesses. Honourable mention: All the Fabulous Beasts, by Priya Sharma (Undertow). Sharma’s stories highlight the divisions and inequalities of contemporary society, showcasing language and imagery that challenges even as it delights. In film, the most pre-hyped horror movie of 2018 was undoubtedly Ari Aster’s Hereditary, in which Toni Collette stars as a woman not only on the edge of a nervous breakdown, but ensnared at the centre of a diabolical conspiracy to bring about the end times. Much though I was looking forward to it, I found Hereditary deeply disappointing. One standout chilling moment aside, the film is bog standard Hollywood tropes all the way, complete with one of the most ridiculous endings in recent horror film history. Conversely, Luca Guadagnino’s Suspiria suffered a lukewarm reception from the critics, yet turns out to be something very special indeed. With its distinctly European sensibility, this re-imagining of a horror classic makes superb use of its Berlin backdrop and delivers excellent performances from each and every member of its talented cast. Dario Argento’s 1977 Suspiria depended for its effect on shock and spectacle. Guadagnino takes a quieter and more circuitous route, filling out the storyline in imaginative and satisfyingly complex ways, delivering what is for me one of the best pieces of new horror cinema in years. Sacrilege I know, but I actually now prefer it to Argento’s original. Big-budget science fiction cinema continues to suffocate under a burden of tedious superhero movies and derivative dystopias, and if you want to see anything worth seeing you need to seek out the indies. One low-budget SF movie I particularly enjoyed this year were Drake Doremus’s Zoe, which traverses similar ground to Alex Garland’s 2014 Ex Machina but displays quiet sensitivity and pathos against a pleasingly low-tech backdrop. And for true weirdness, see Justin Benson and Aaron Moorhead’s The Endless, in which the writer-directors also star as brothers whose return journey to the UFO cult in which they were raised traverses some wonderfully strange territory. A genuinely unsettling movie that demands a rewatch, and works as a marvellous antidote to the anodyne and superfluous offerings from the Hollywood franchises.